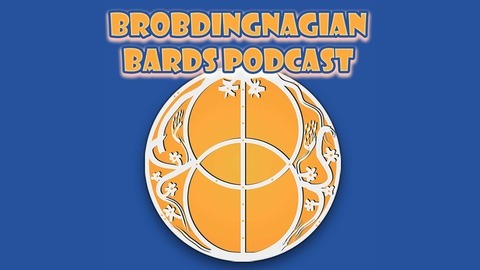 A podcast from that loveable bardic duo playing folk music and novelty music with humor. No kidding! 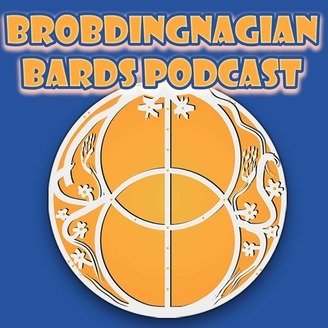 Brobdingnagian Bards are back for the 10th season of Sherwood Forest Faire. That means were are once again in the same vicinity of each other. That means craziness will ensue. Andrew McKee is a little hoarse in this episode. That means Marc Gunn gets to make fun of him while Andrew's guard is down. But it's not all goofiness. In fact, we make a big announcement. We're making a new album! You can learn the new album name. As always, this show is brought to you by our Nagians Only Club on Patreon. Sign up today so we can keep entertaining you! Find out more about our show #43 in the shownotes and more about our music at www.thebards.net. 2019 Brings A Brobdingnagian Minute Back!